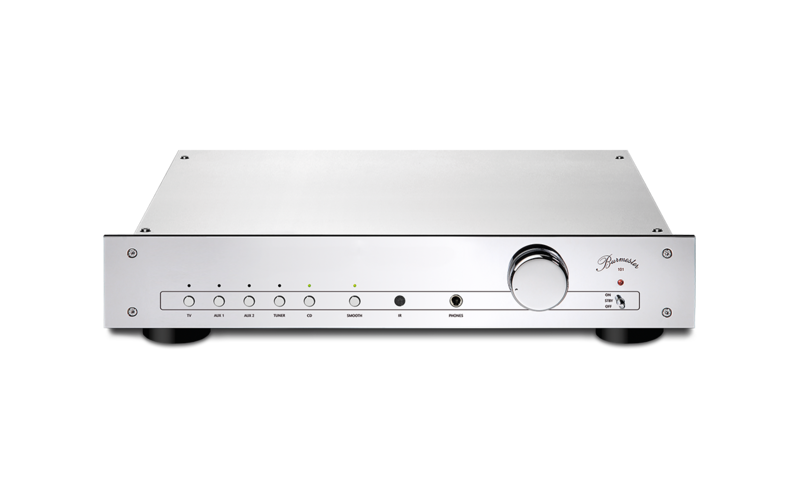 The Burmester 101 is a stereo integrated amplifier using digital amplifier technology. For the first time, the resulting sound is really outstanding with this technology. This is made possible by the combination of an analogue power supply unit with a highly efficient digital power amplifier, which has been created in a long development process. Thus, maximum performance of up to two times 245 W and low power consumption are possible. In addition, the 101 offers a manufacturing quality on the highest level, making it predestined for long-term usage. The equipment package is completed by Cinch and XLR connections as well as a practical remote control.